Committed to her spinsterhood, Isabel Flores isn't about to trust a man with her hard-won independence or her heart—especially not lawman Ben MacGregor. 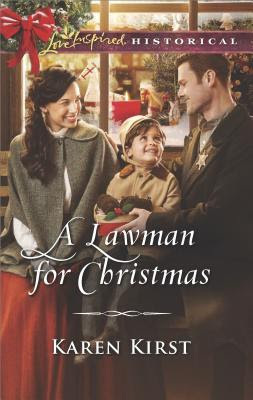 But when a little boy is abandoned on her property, the so-called "Debonair Deputy" of their small Tennessee town helps her care for the child. And Isabel begins to hope he might be more than just a handsome flirt. Ben is well aware of Isabel's aversion to love and has his own secret reasons for avoiding relationships. But as he and Isabel do their best to make the holiday special for their young ward, Ben wonders if he could be a family man after all. Will this Christmas be the first of many for Isabel and Ben's little instant family?